Here’s the thing about that old day job. It was a fun time, but I haven’t been there in over nine months! I’m not exactly up on the rules of job claiming, but I’m pretty sure that if I’ve been away from a company long enough to have a baby, it’s pretty safe to stop claiming it as my current occupation. Plus, I love what I do! I get such a thrill out of giving silent stories a voice. I love turning a one-word suggestion into a 30-minute show. I get a real pleasure out of coming up with three minutes of the goofiest comedy that can spill out of my brain. So why, instead of listening to that angelic Drake on my one shoulder, did I listen to that dastardly devil on the other? The reason that DMX’s devilish Where The Hood At took hold of my brain over Drake’s melodic Hold On We’re Going Home is because of a fear of being accepted. It’s the fear that I’ll describe to someone what I’m doing with my life, but it won’t be enough for them. That because I haven’t yet won an Oscar, an Emmy, a Tony, or even a Slammy, that I’ll be looked at as less than. Not good enough. A fake. A joke. But here’s something that’s so easy for me to remember on some days, and so easy to forget on others: It doesn’t matter what you think. But when it comes down to it, at the end of the day, I can’t do any of the things that I do with the objective of being loved, admired, or hired. I don’t do voice acting, improv, or sketch comedy to be accepted. When I say that I do these things for a living, I mean exactly that. I literally have to do these things to stay alive. The day I stop performing is the day I stop breathing, and it’s not because I’m being forced to do it, but it’s because I love what I do. I love it as much as DMX loves his dogs. And DMX loves. His. Dogs. So for anyone in the same boat as me, I challenge you to challenge yourself. The next time someone asks you what you do for a living, know yourself. Know your worth. Turn down the DMX on your shoulder, and turn up the Drake. You’ll feel so much better that you did. Thanks for reading! Really appreciate it. I read this. However I disagree with the metaphor. Drake in that picture is clearly star struk because he recognizes that he himself is a name dropping band wagoner the likes of Rihanna or justin briber. I don’t recall jack Nicholson crapping his pants when he met Kobe Bryant. 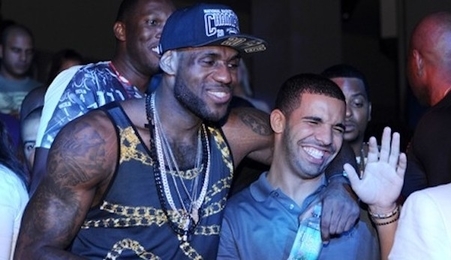 It just show what a chump drake is. I liken your situation to that of a young Ronald Reagan wherein early in his career he loved acting but was usually overlooked until later in his career. his real passion however was ranching and horse riding but he kept that to himself. Actually Josh, Jack Nicholson is the king of pants crappers- it’s why he wears sunglasses- he thinks it serves as an adequate disguise.